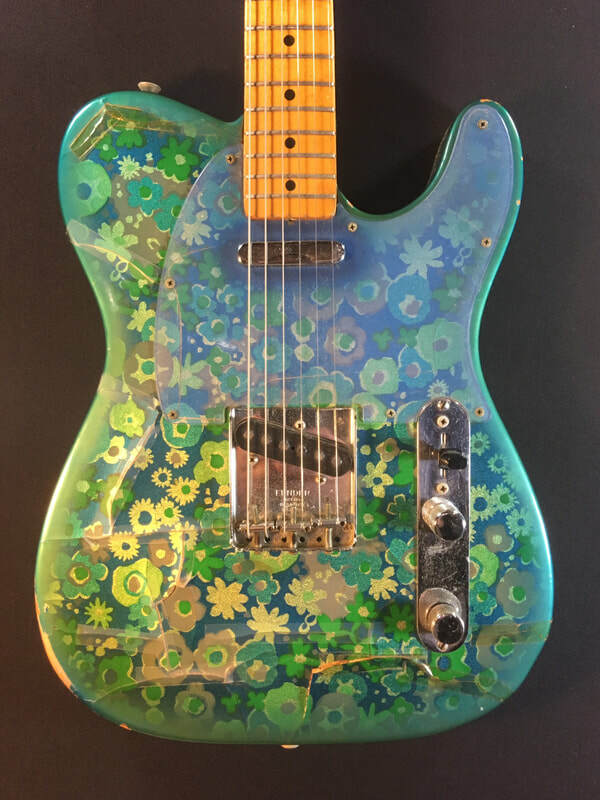 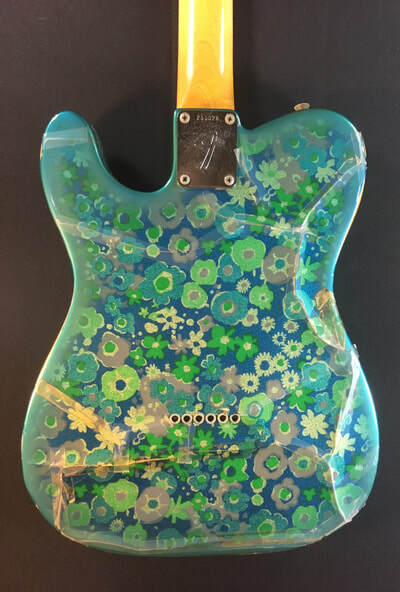 For sale is a very rare Blue Floral Telecaster. 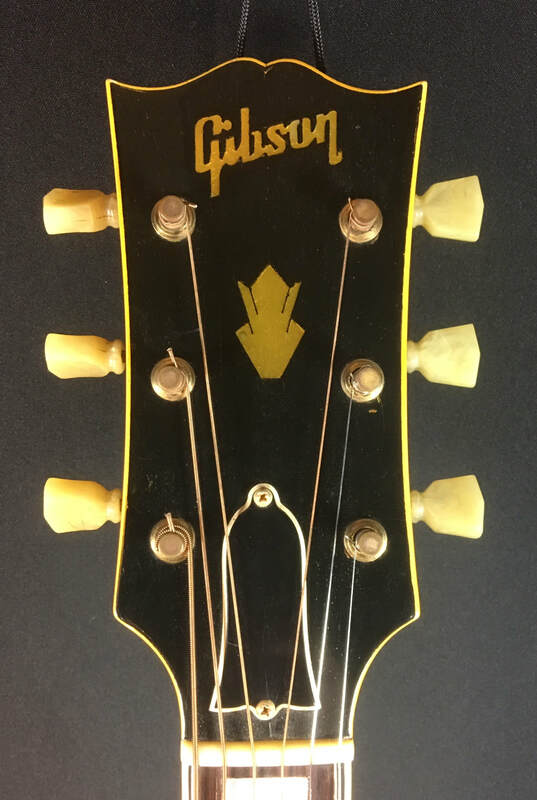 These were only made in 1968-69. 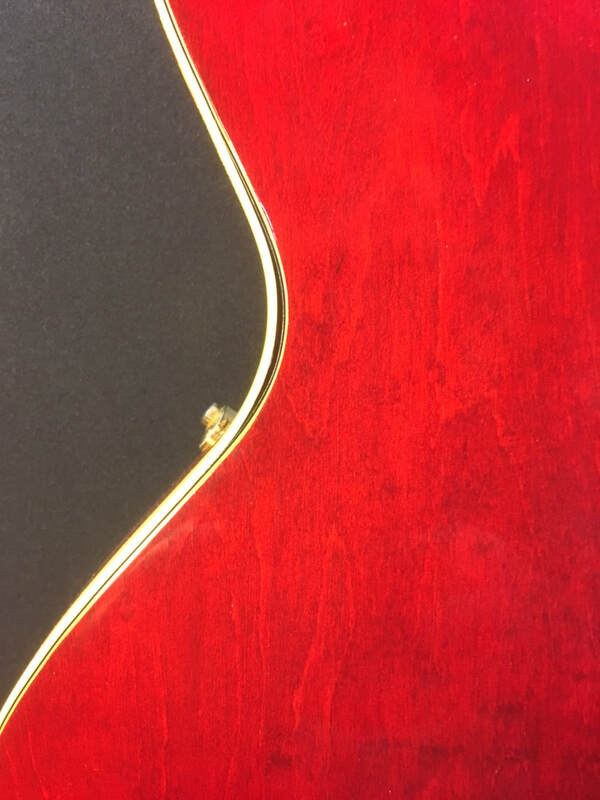 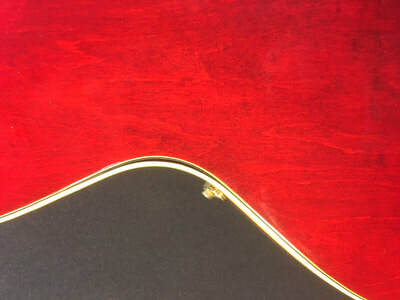 Although the finish on the majority of these guitars would peel and crack, all of the finish is intact on this one. 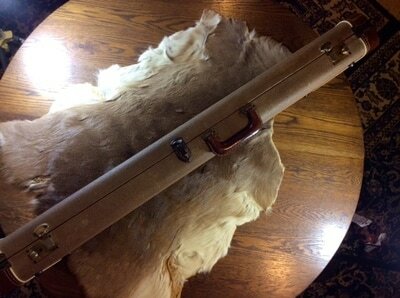 It is in all original condition minus the HSC. I'm available to satisfy any questions you may have about it. 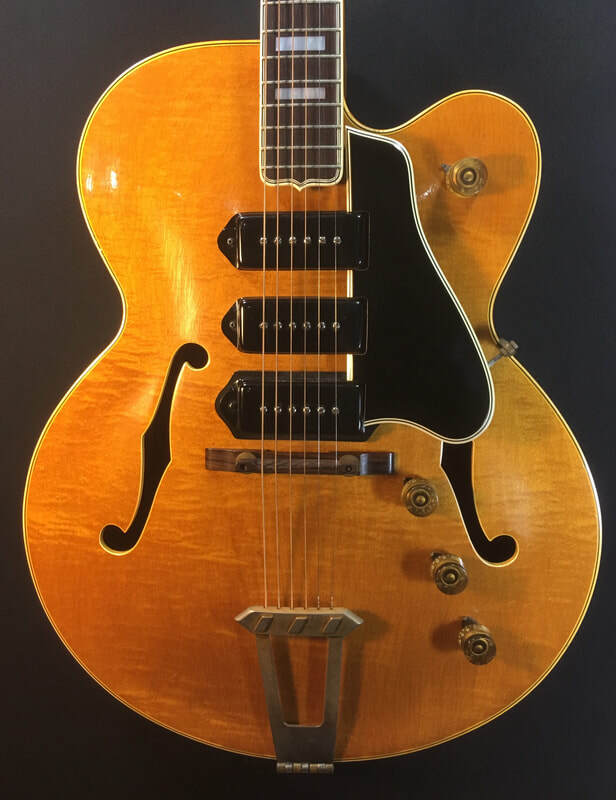 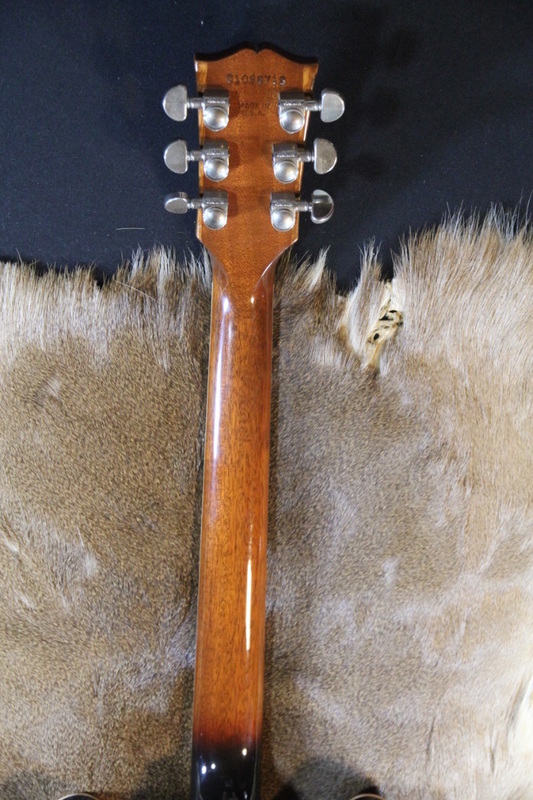 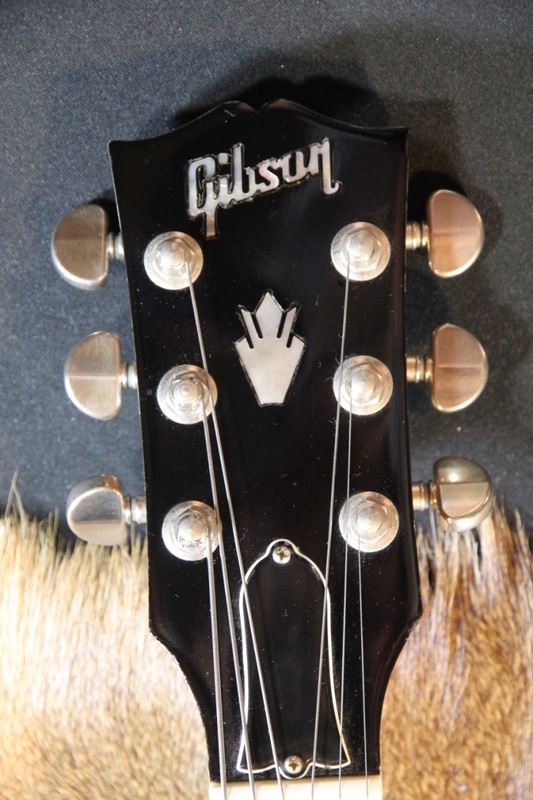 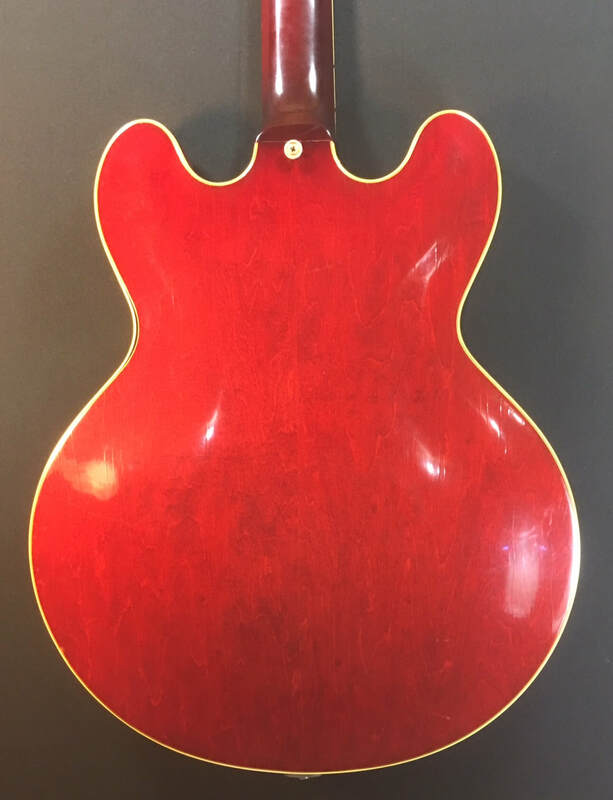 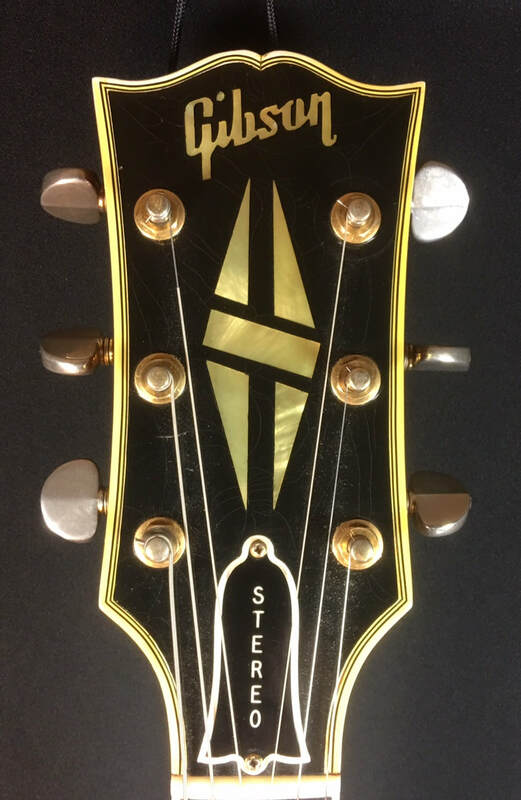 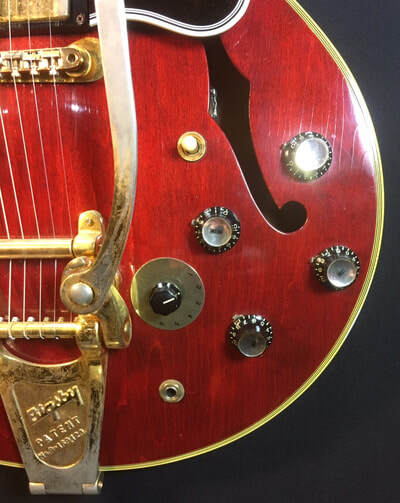 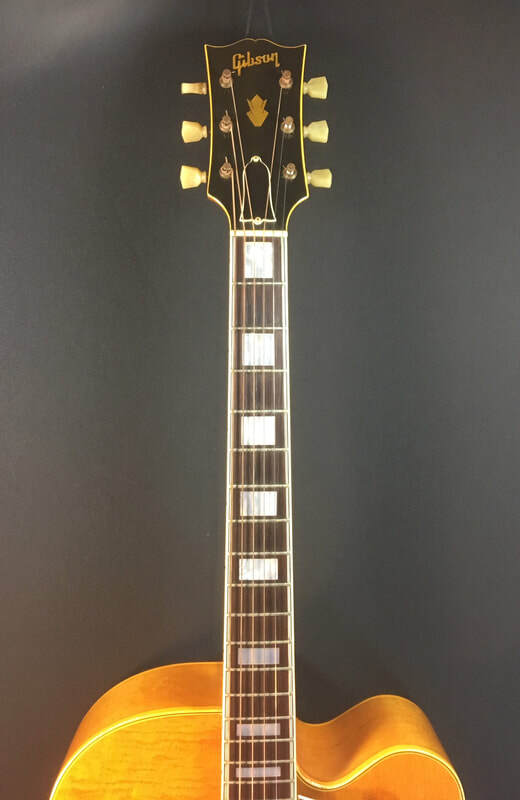 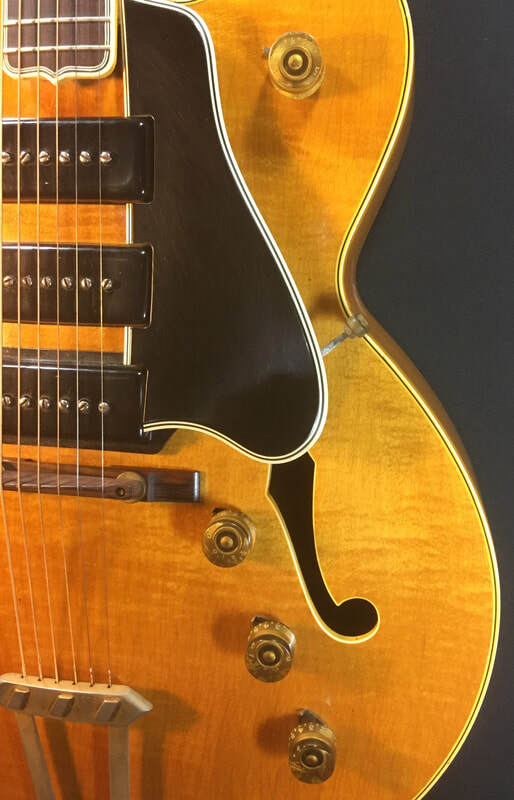 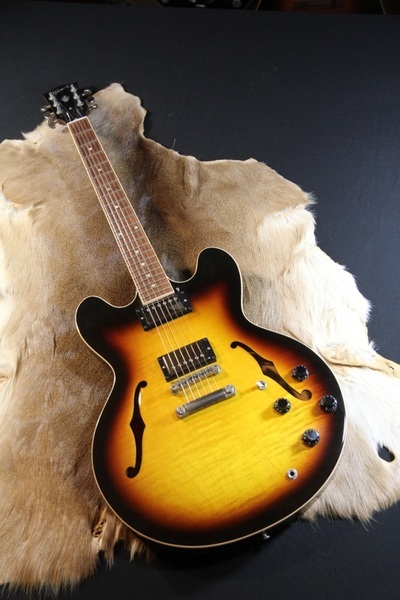 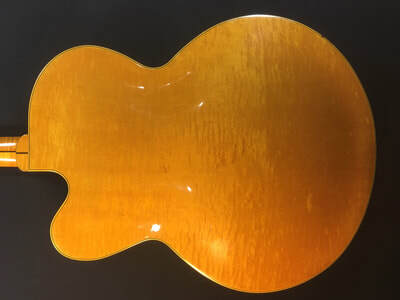 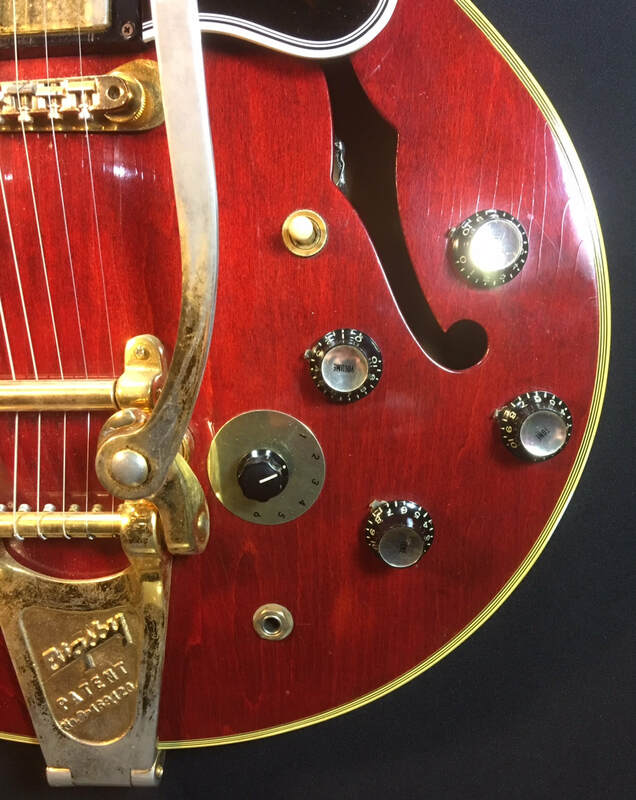 For sale is an absolute stunning example of an early model Gibson ES-5. 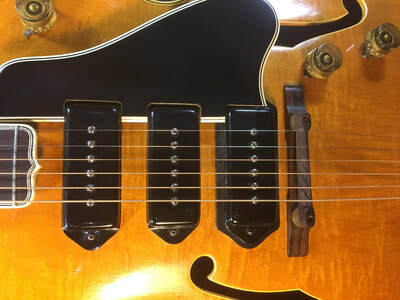 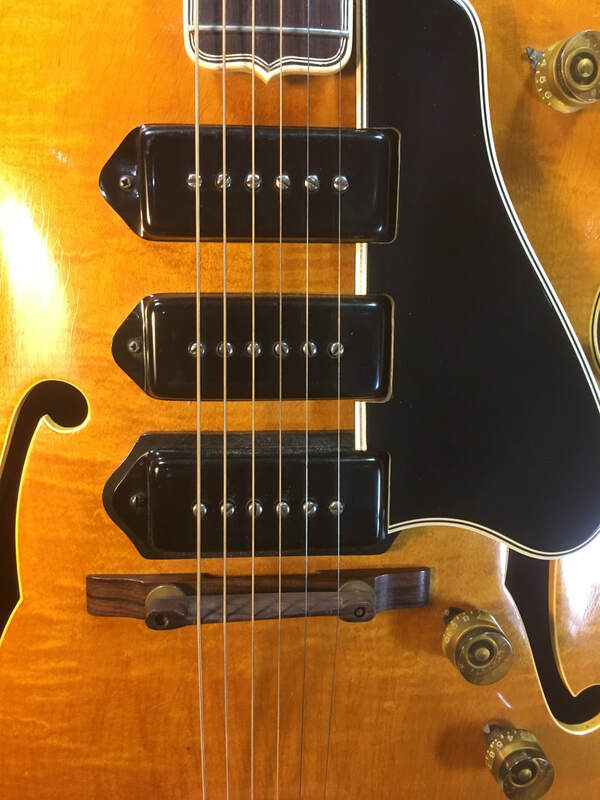 Three P-90 pickups. 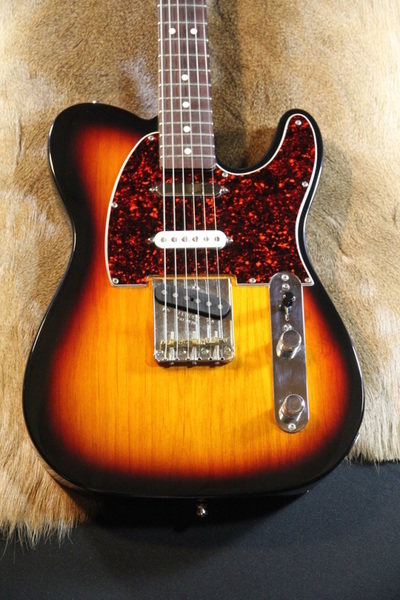 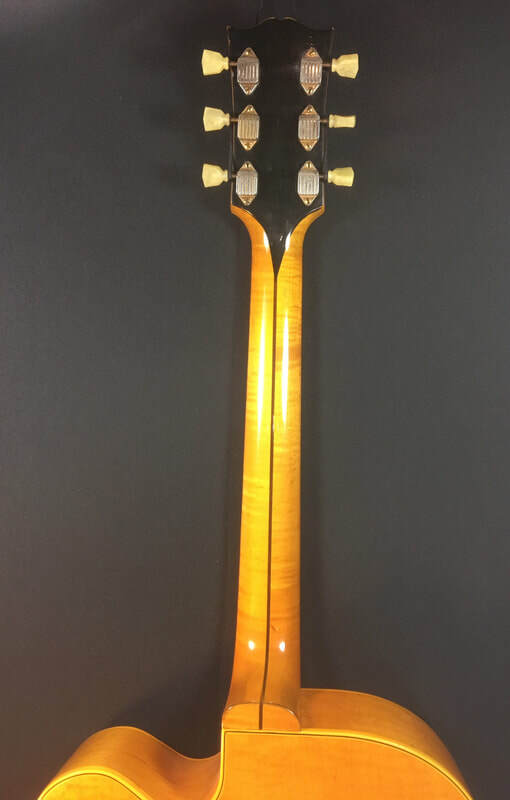 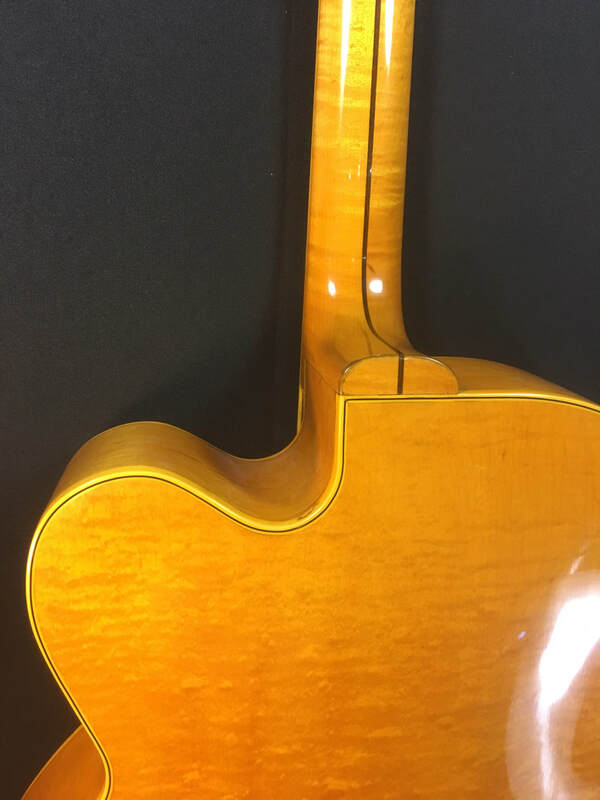 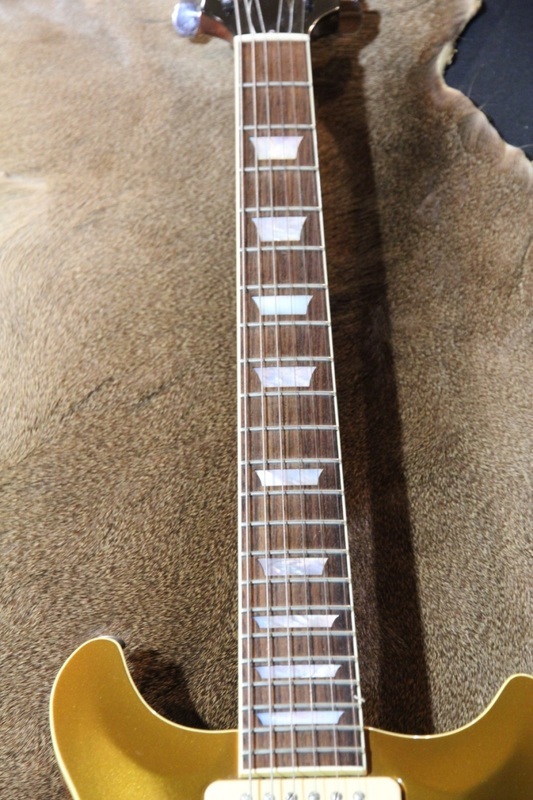 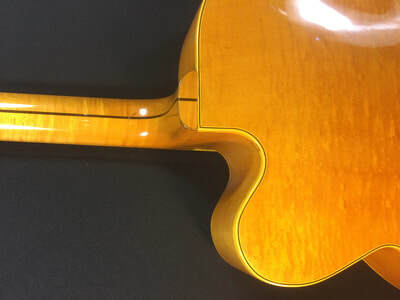 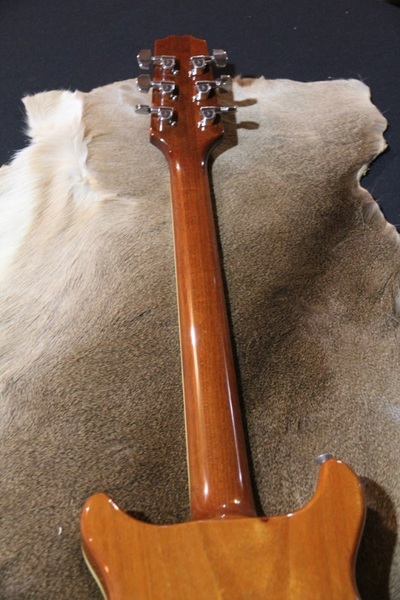 Gorgeous blonde finish, beautiful flamed maple throughout. 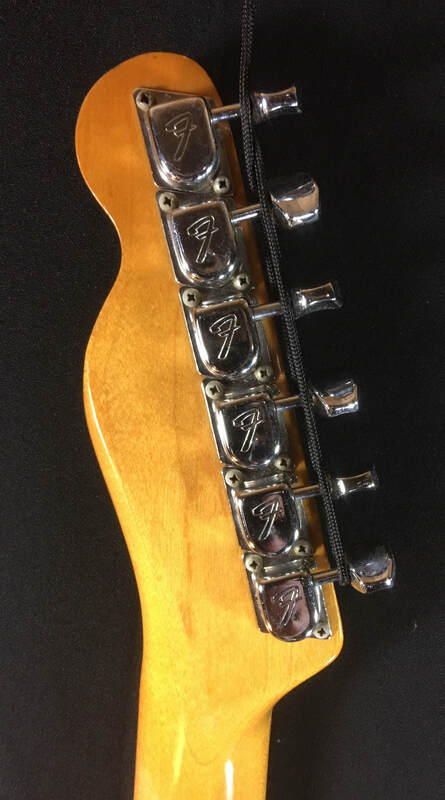 All original including HSC. 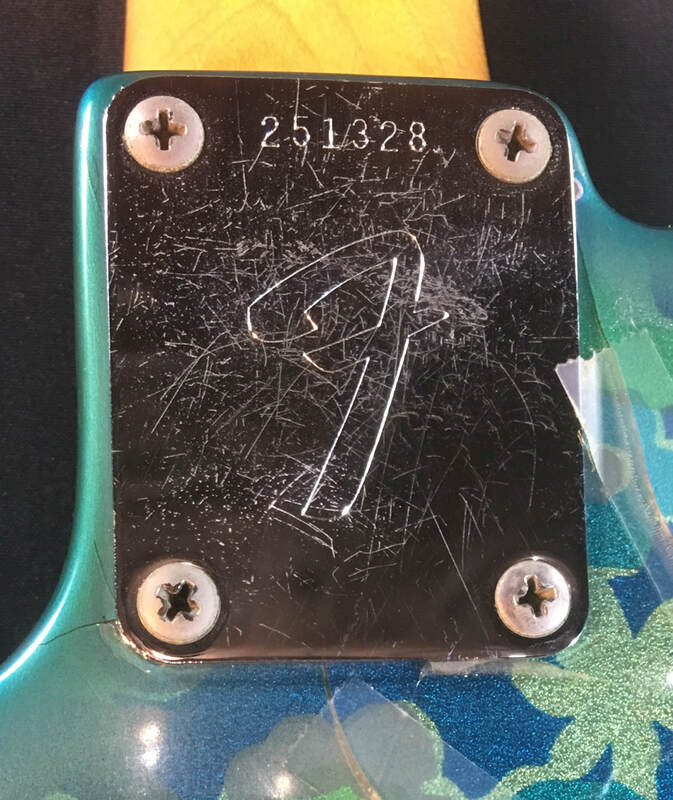 No repairs, etc. 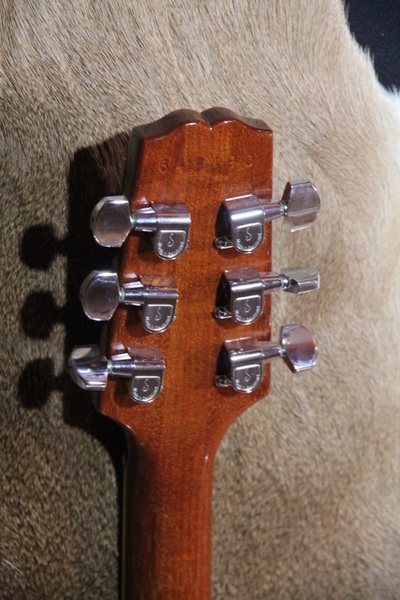 of any sort. Hard to find in this condition. 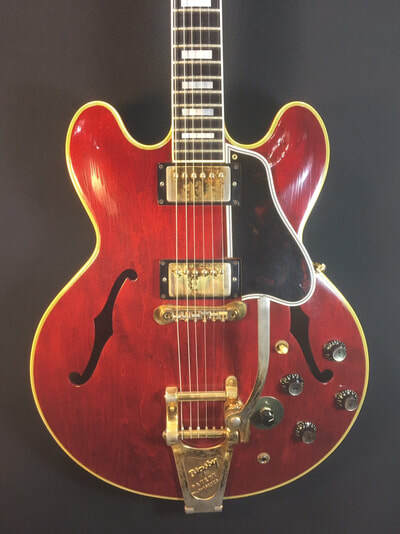 Offered for sale is an extremely fine example of an early model Gibson ES-355 Stereo. 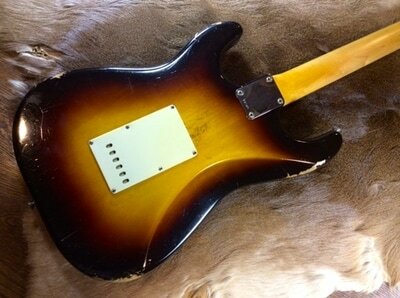 Excellent /plus condition including OHSC. 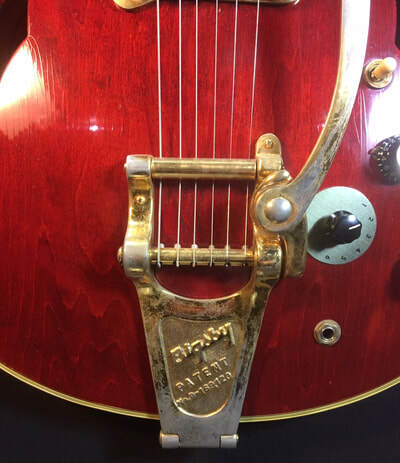 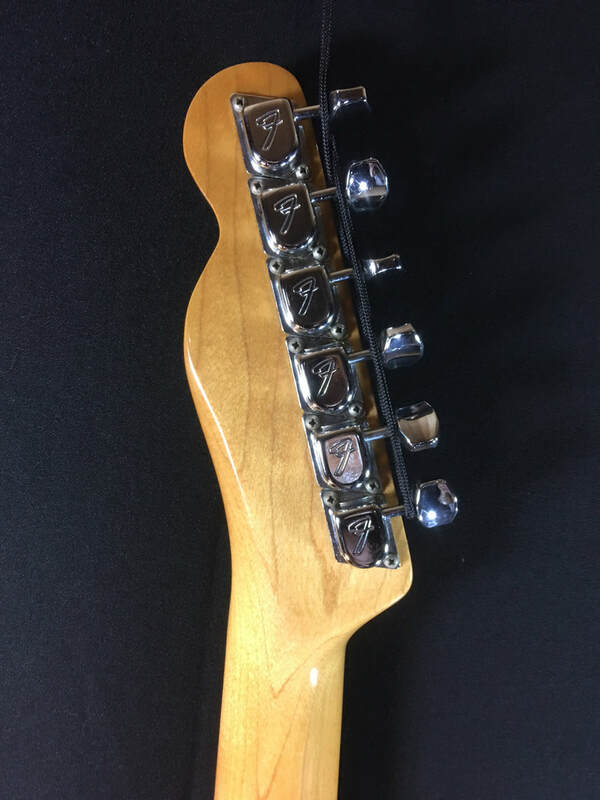 Factory Bigsby tailpiece. The binding has shrunk at one point on the treble waist, otherwise perfect. 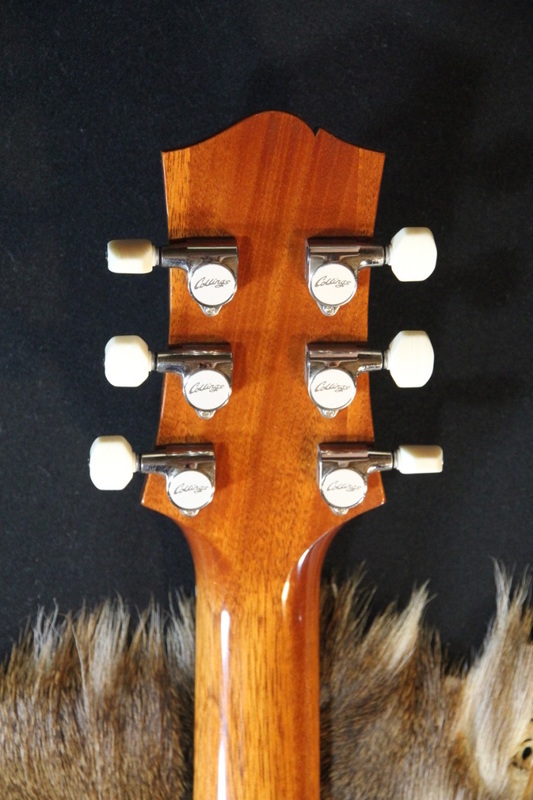 Please feel free to inquire with any questions you may have about it for an in-hand description. 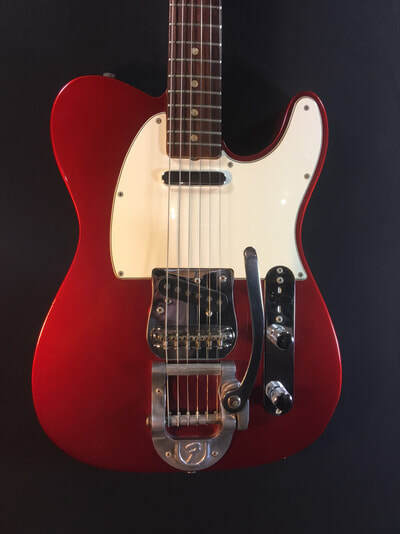 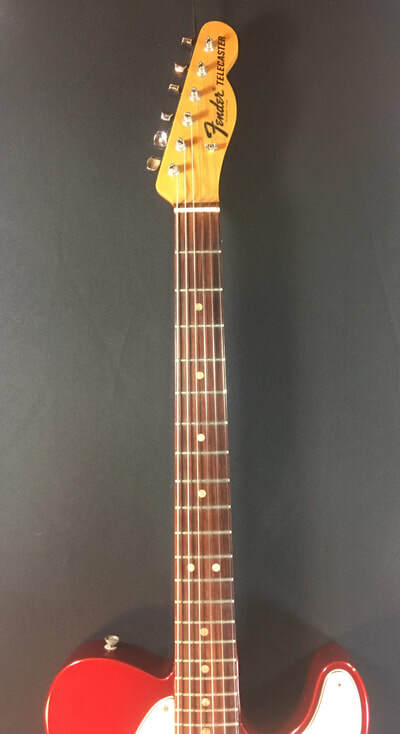 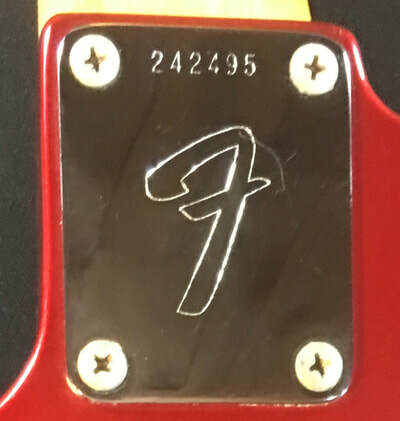 Offered for sale is a pristine example of a 1968 Fender "Candy Apple Red" Telecaster. All original in every way including HSC. 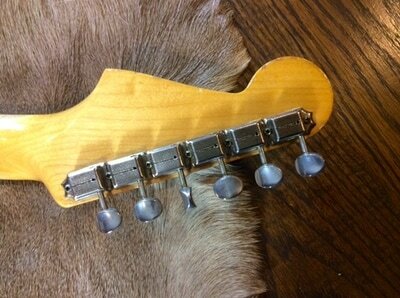 Factory original Fender Bigsby tailpiece. 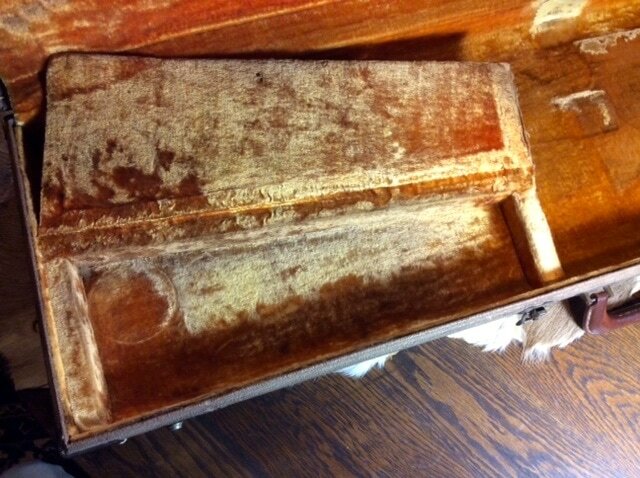 These are not often found in this condition. 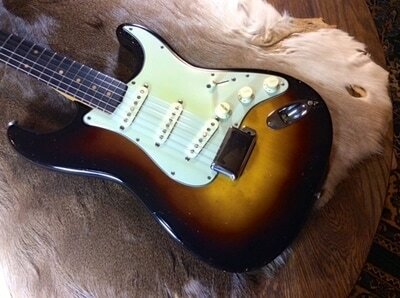 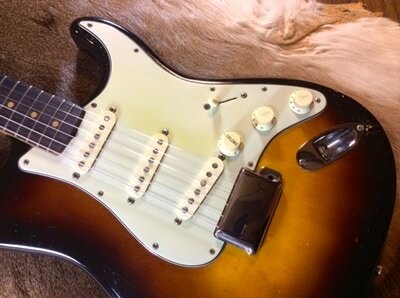 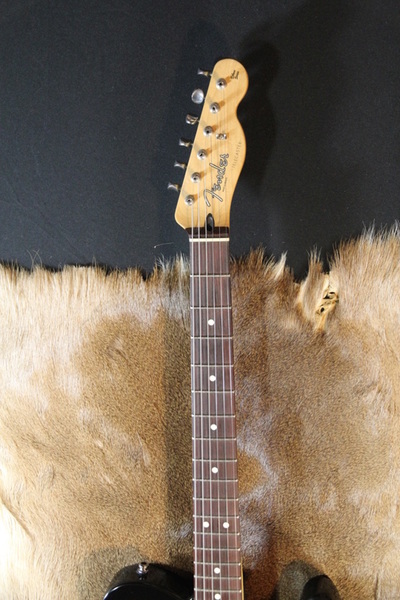 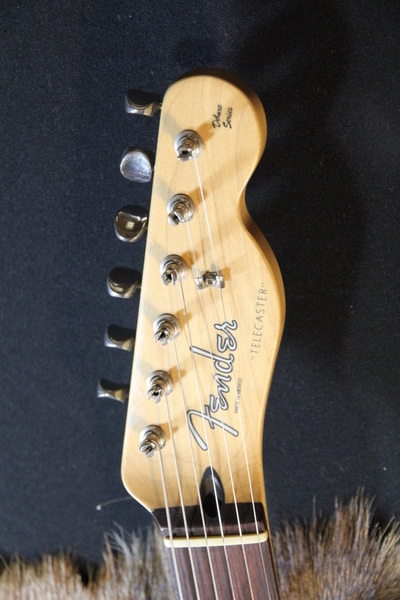 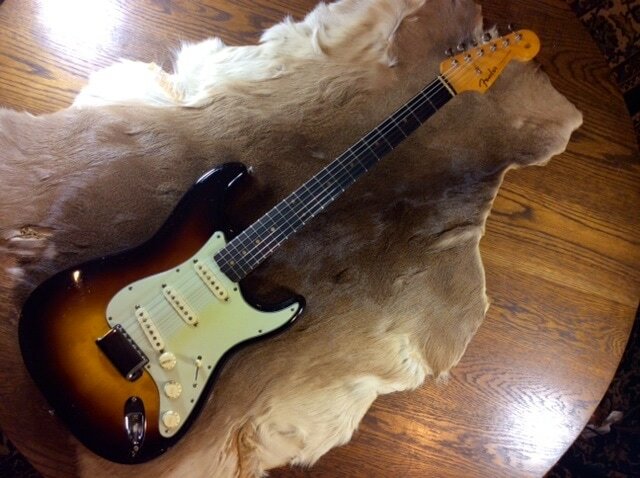 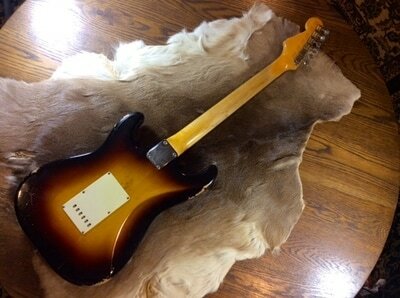 Totally original 1960 Fender Stratocaster. One owner family. 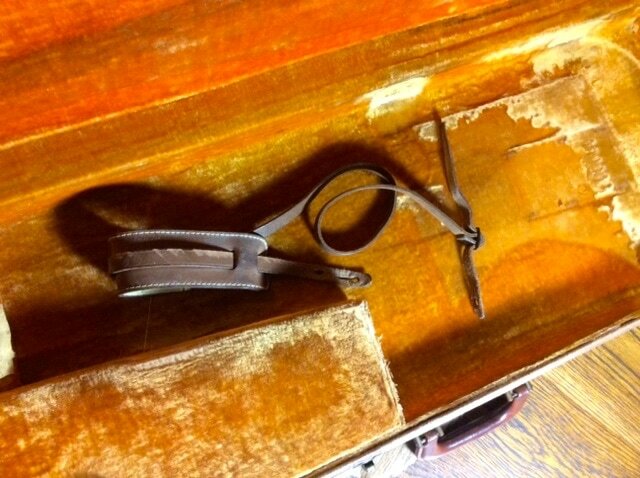 Original case and strap as well. 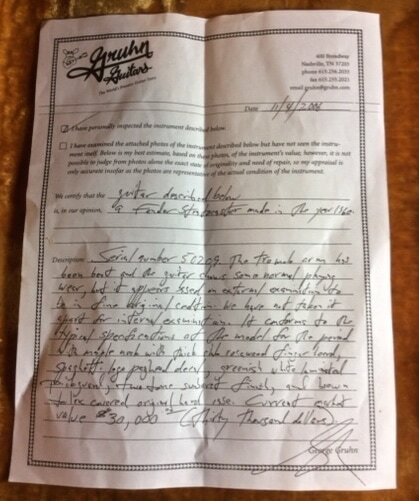 Gruhn appraisal. 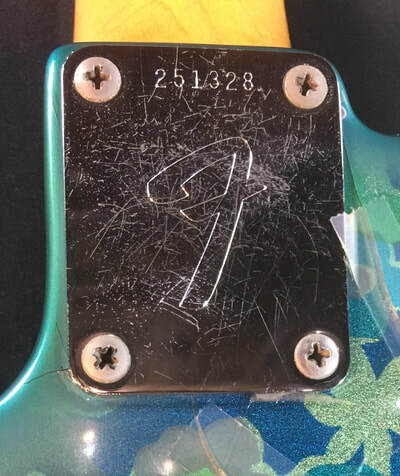 Very fine condition with normal play wear and some rash. 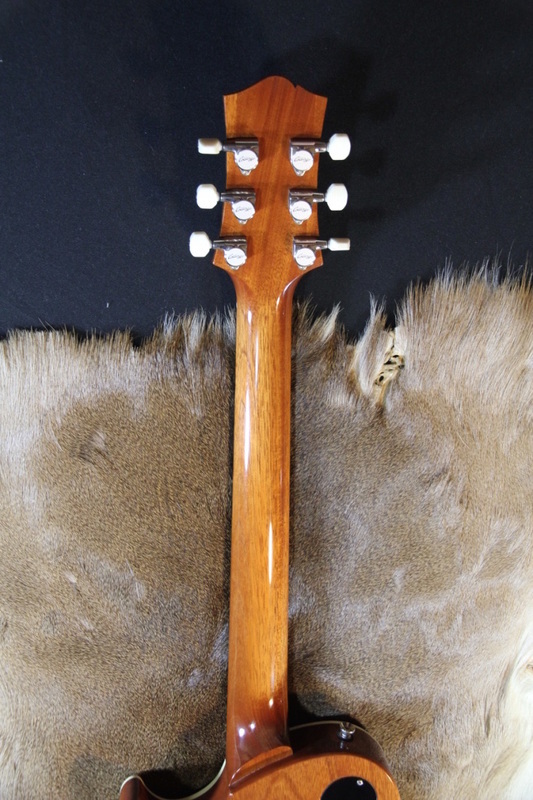 Several additional photos available. 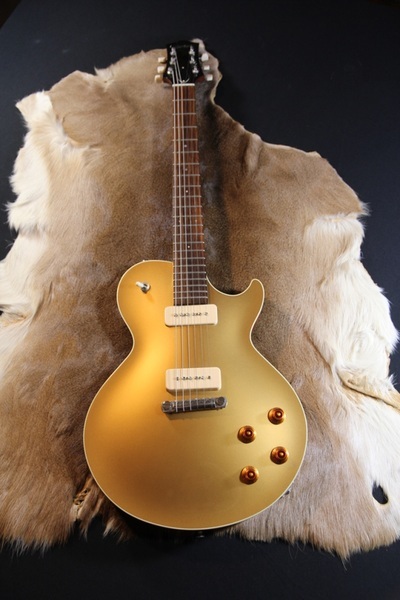 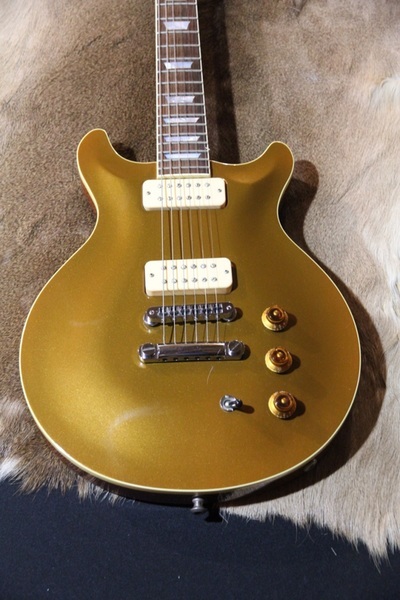 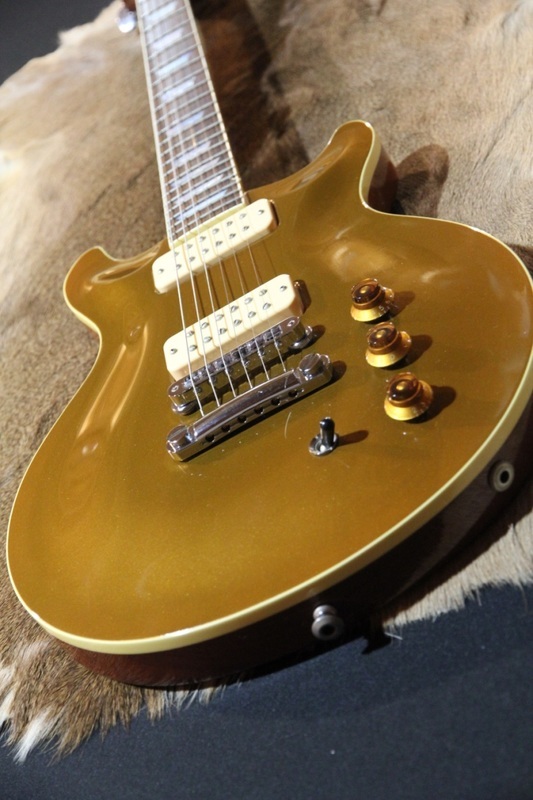 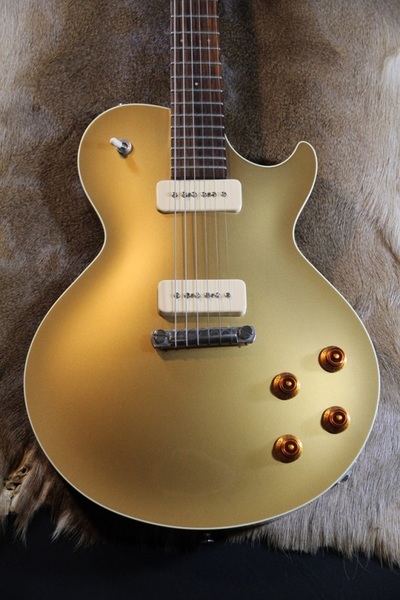 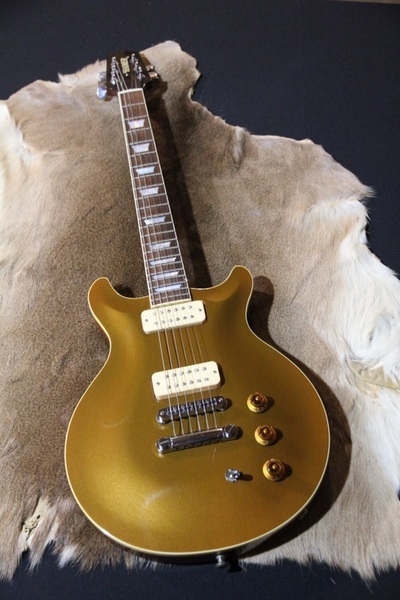 Gold top. 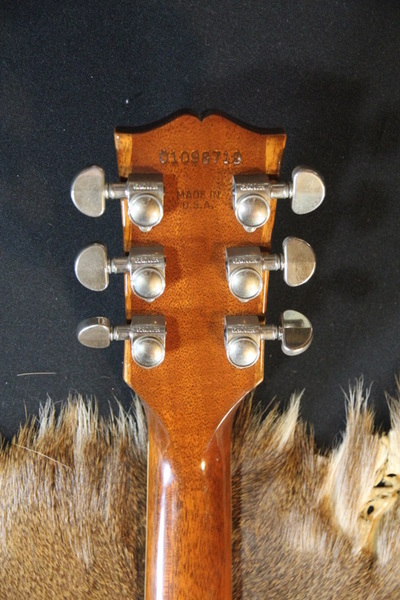 mahogany back, sides. chrome hardware. 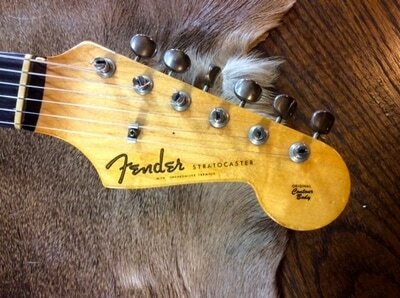 perfect action. 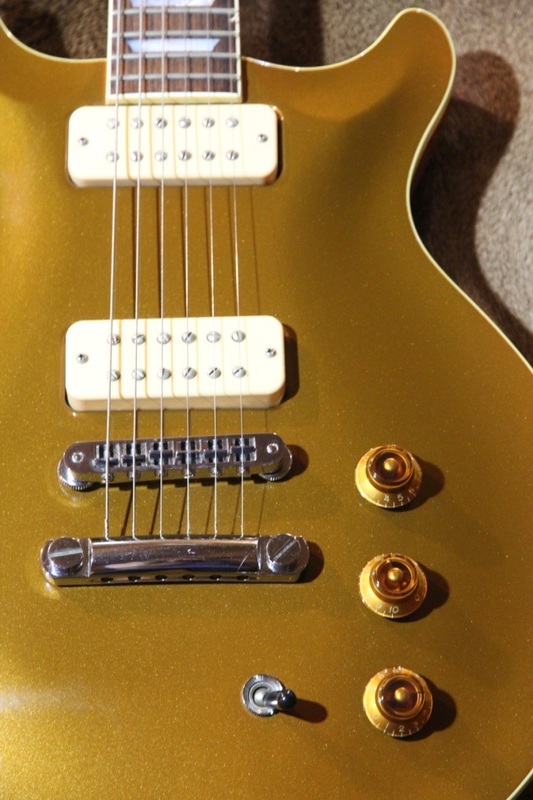 Seymour Duncan P-90 pickups. 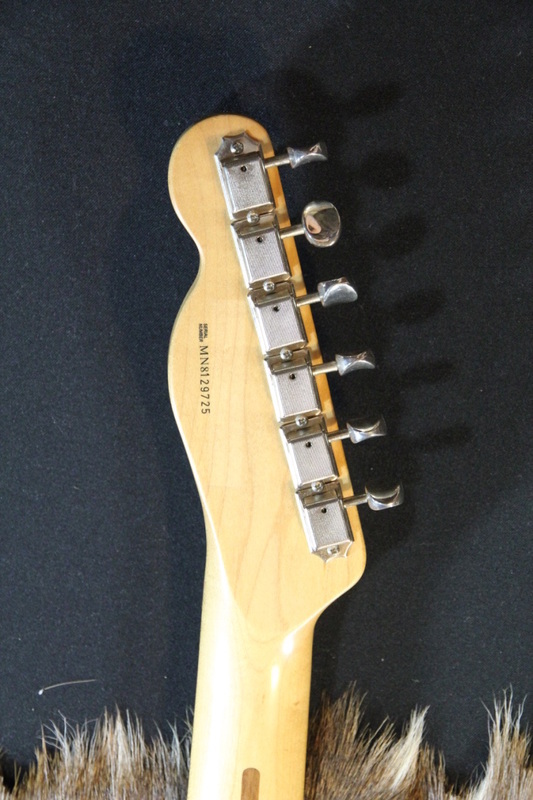 tune-o-matic style bridge. 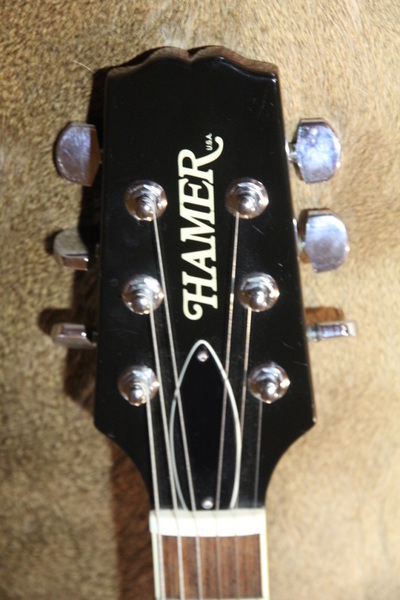 Includes the original Hamer hard shell case. 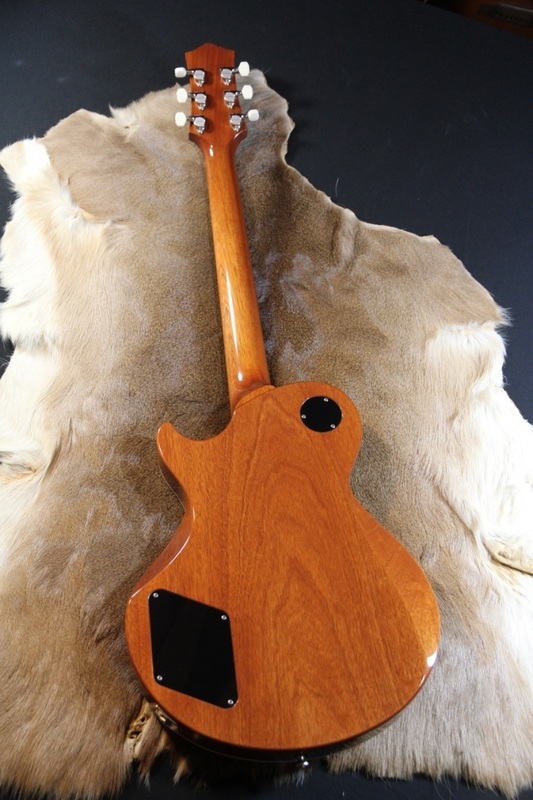 Nicely flamed Curly Maple Back, Sides and Top. 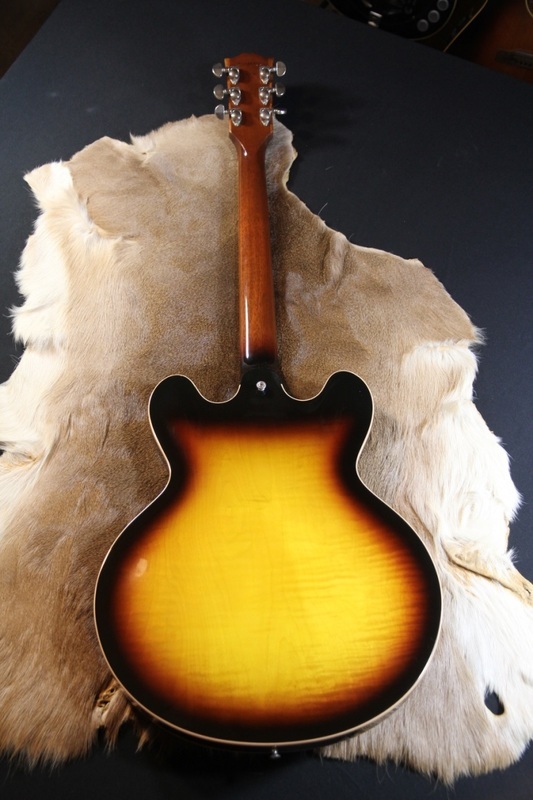 Gorgeous Tobacco Sunburst. 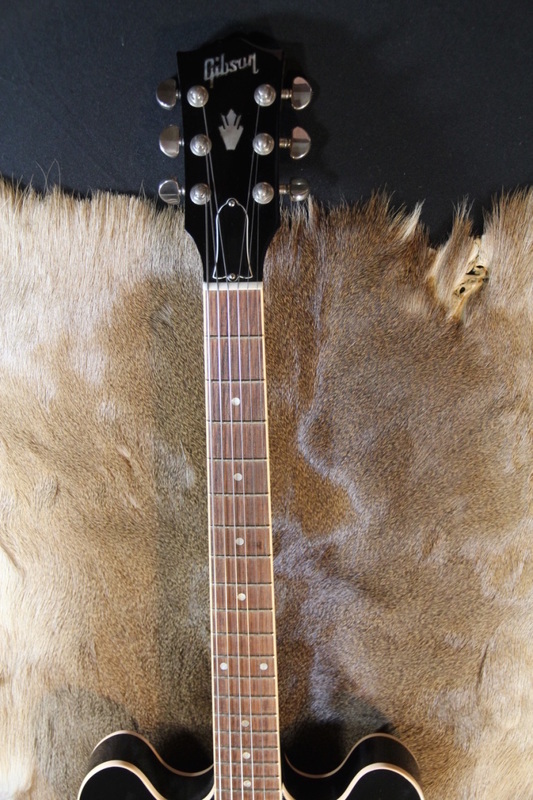 Excellent Condition, great sounding and playing guitar. 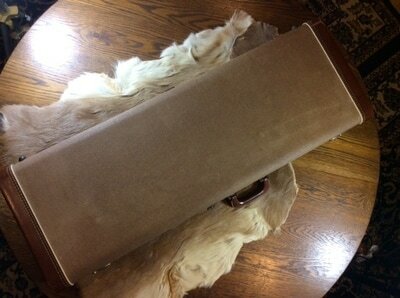 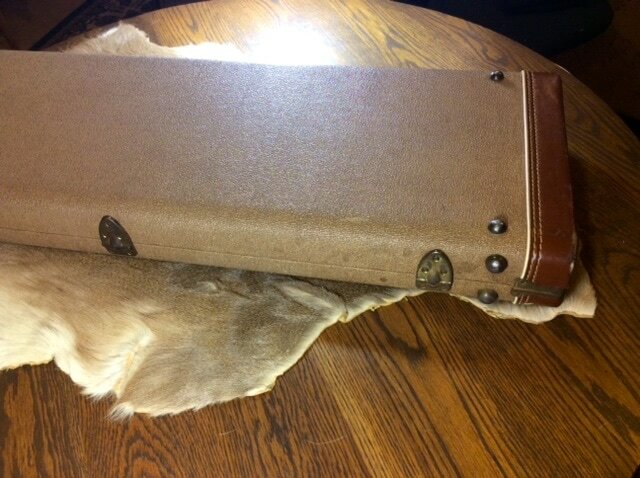 Includes original hard case and paperwork. 3 Pickups. 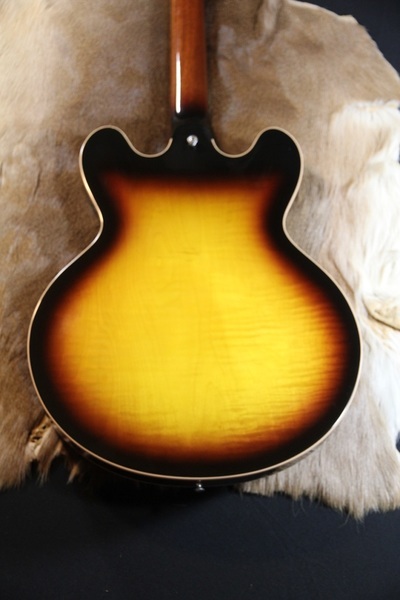 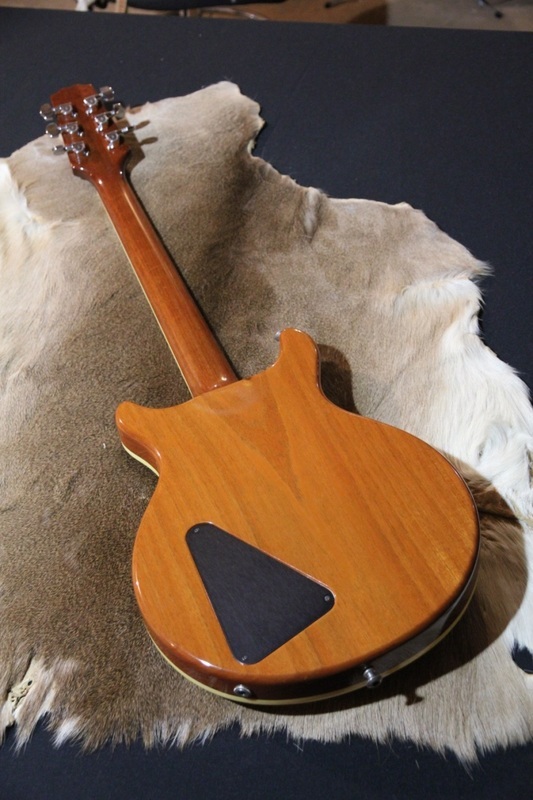 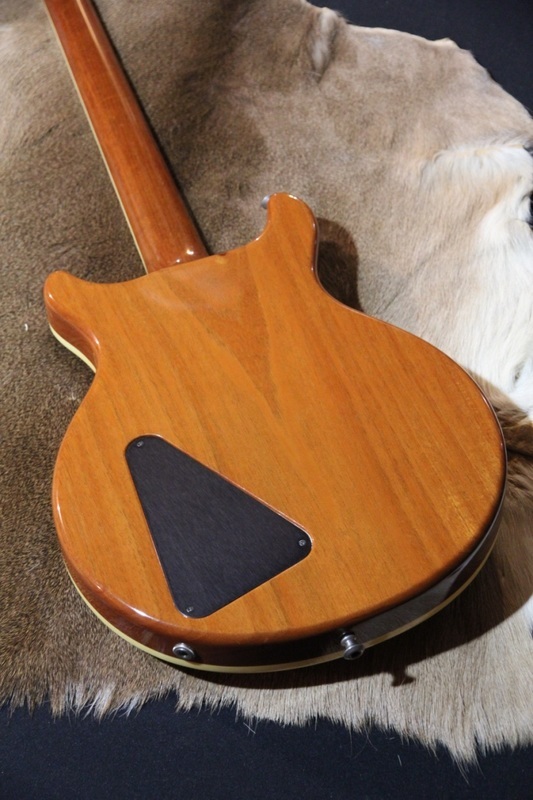 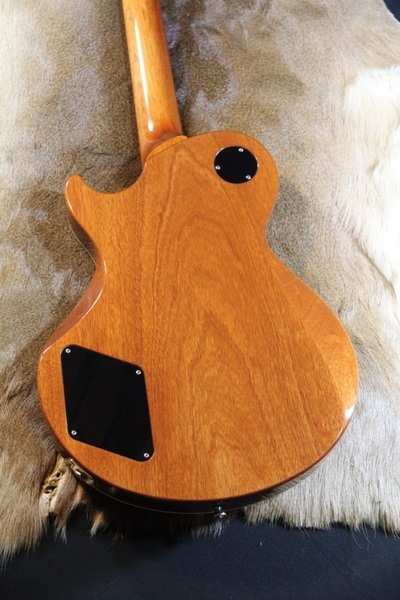 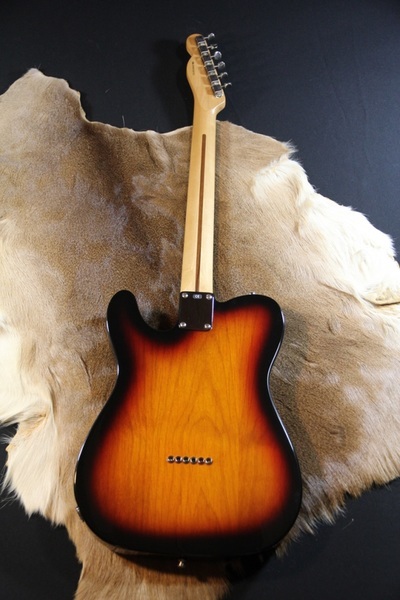 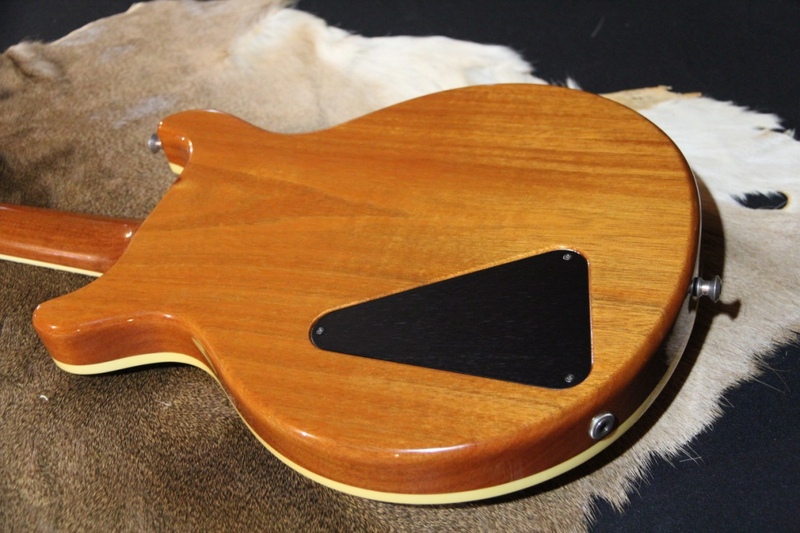 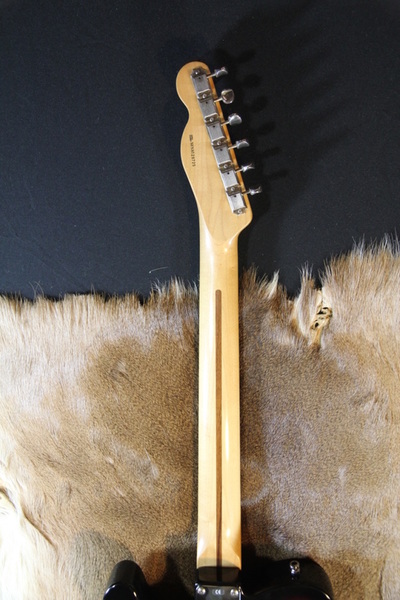 Alder body. 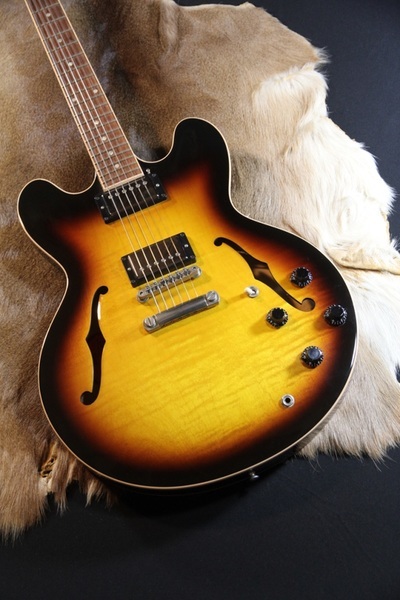 Lovely Sunburst. Tortoise Pickguard. 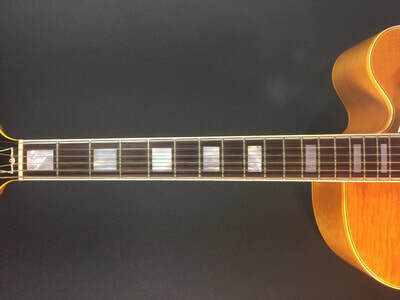 Lovely Sunburst. 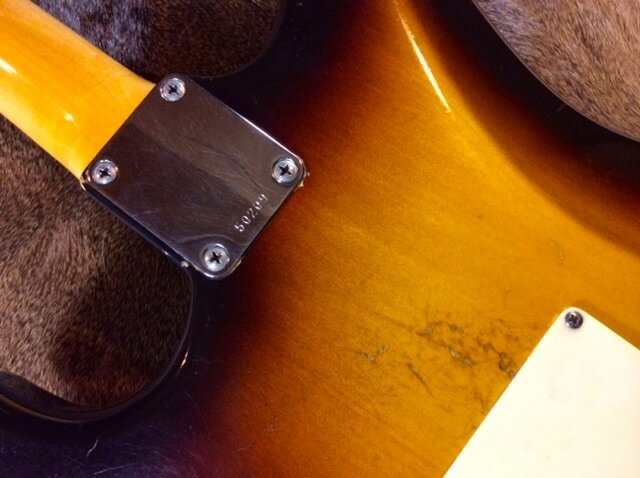 Rosewood fingerboard. Mexico Made. Easy on the eyes with a fine setup. 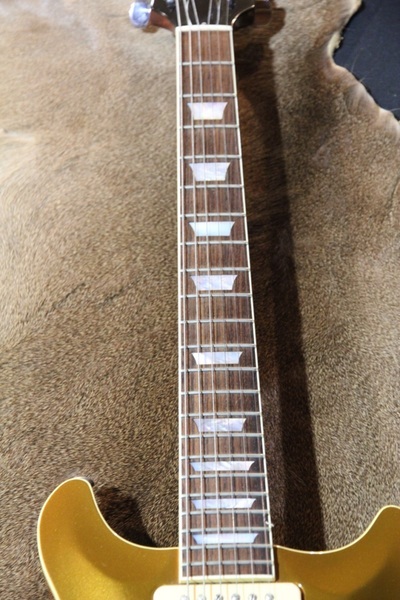 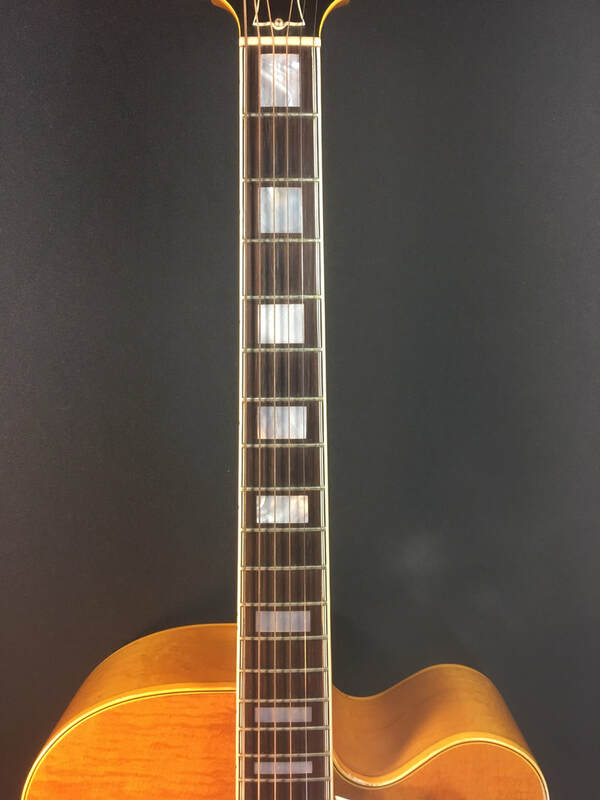 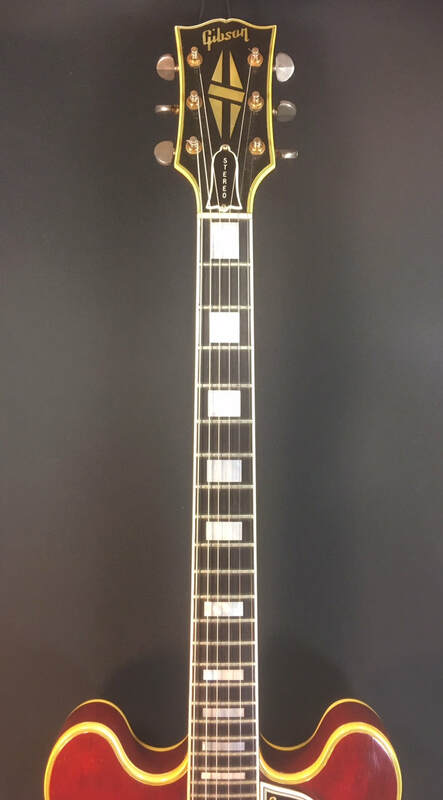 Stunning gold top. 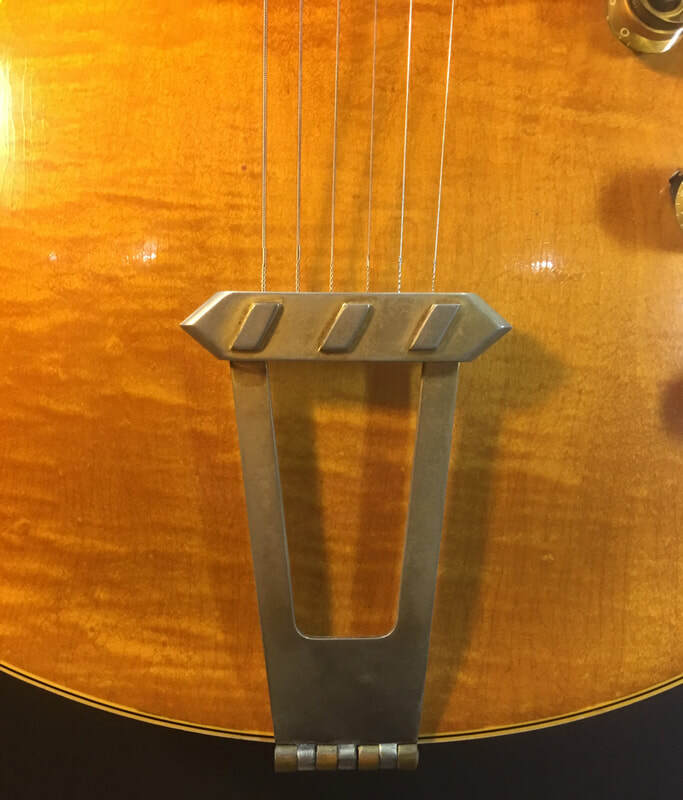 Excellent plus condition. Factory upgraded Throbak pickups. 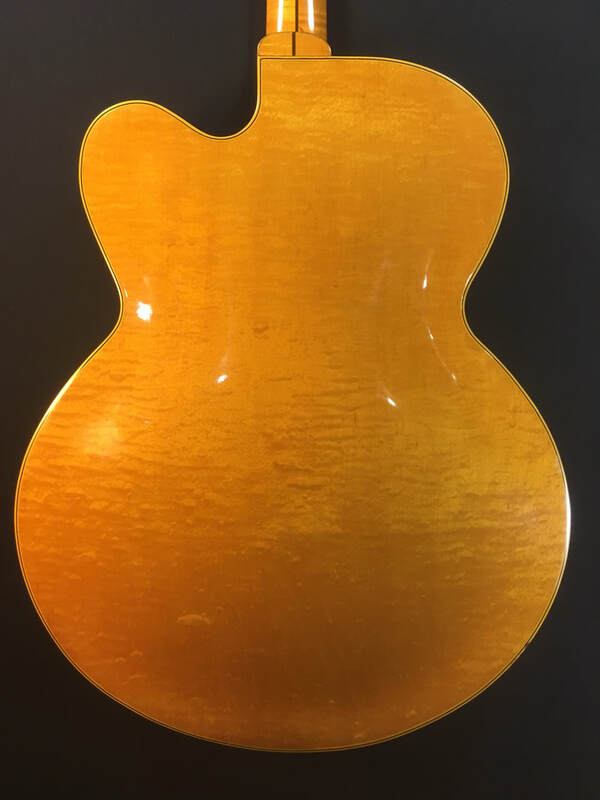 24 7/8" short scale. Ivoroid tuner buttons. 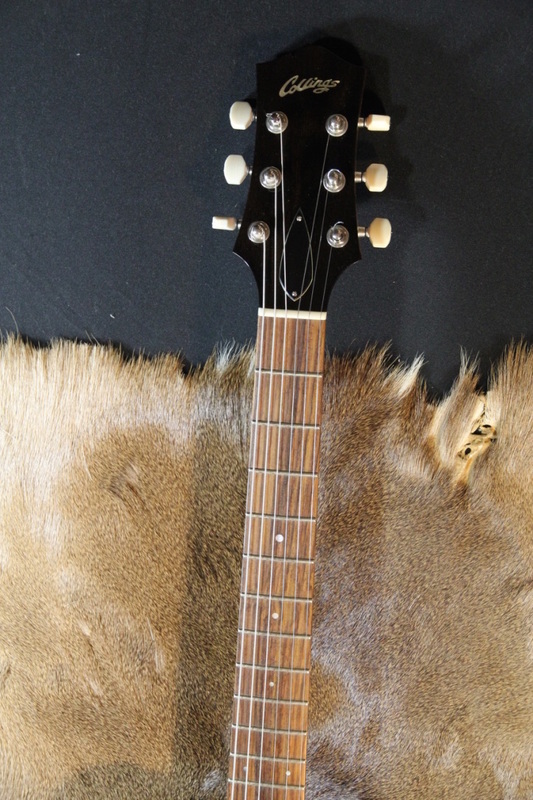 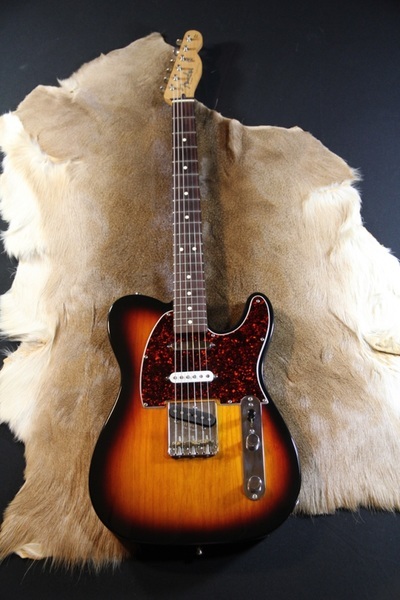 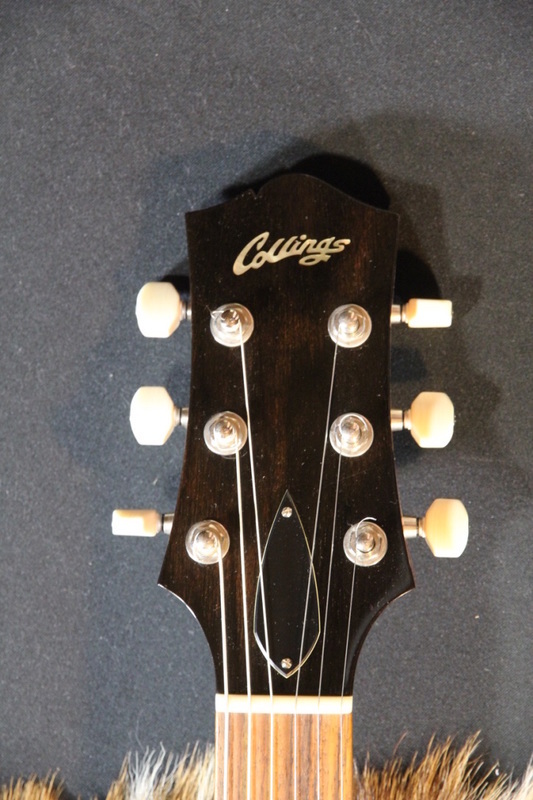 Includes factory original Collings hardshell case by Ameritage Cases.